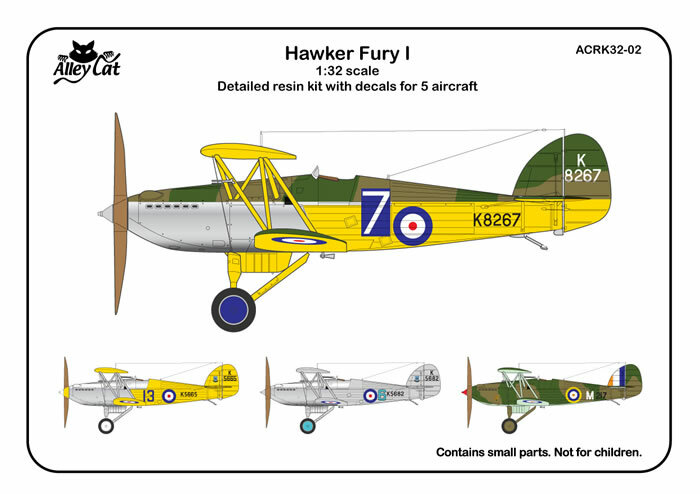 Alley Cat releases its first 1/32 scale kit the Hawker Fury I. The Fury has been done in collaboration with Montex however we have upgraded some of the parts this includes the struts and undercarriage this will assist with assembly of the model. 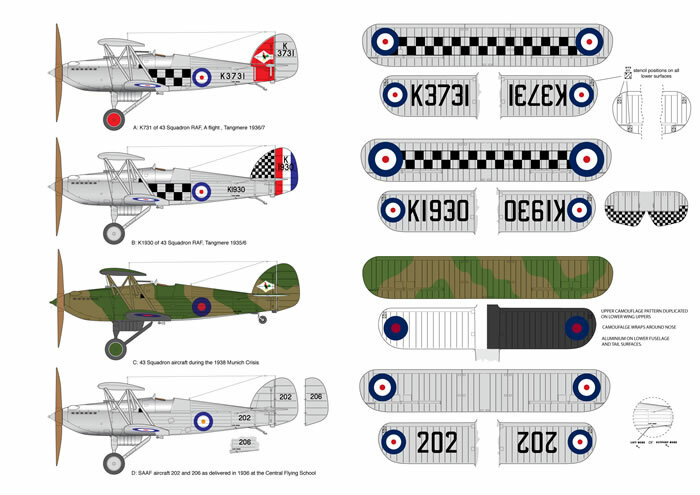 The other big change and upgrade is that decals are provided for all markings, two kit options are available. 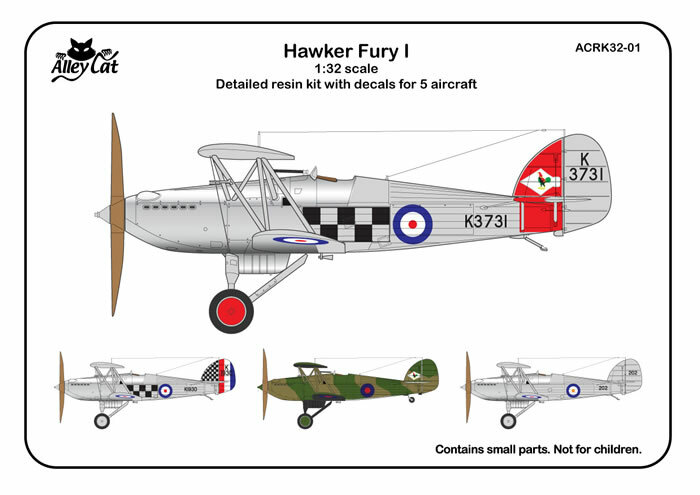 ACRK32-01 Hawker Fury I Detailed resin kit with decals for three RAF 43 Squadron aircraft (two are pre-war aircraft and one camouflaged option from the Munich Crisis) and two silver SAAF aircraft. 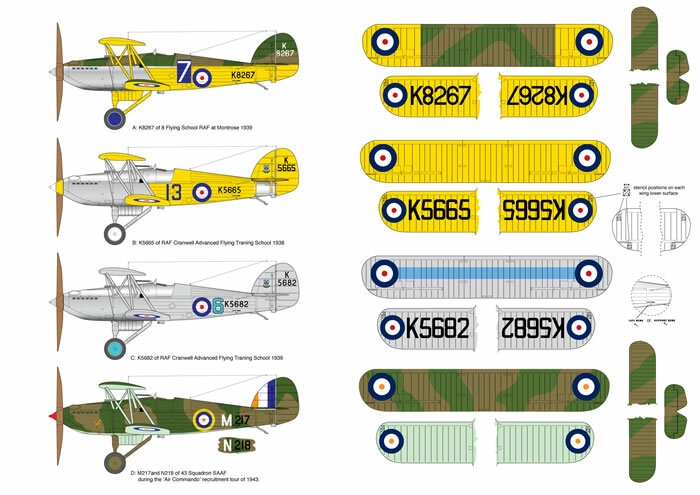 ACRK32-02 Hawker Fury I Detailed resin kit with decals for three training RAF aircraft, one of 8 Flying School and two Cranwell Flying School and two camouflaged SAAF aircraft.